How to Fix Missing or Blurry Fonts on Windows 10? 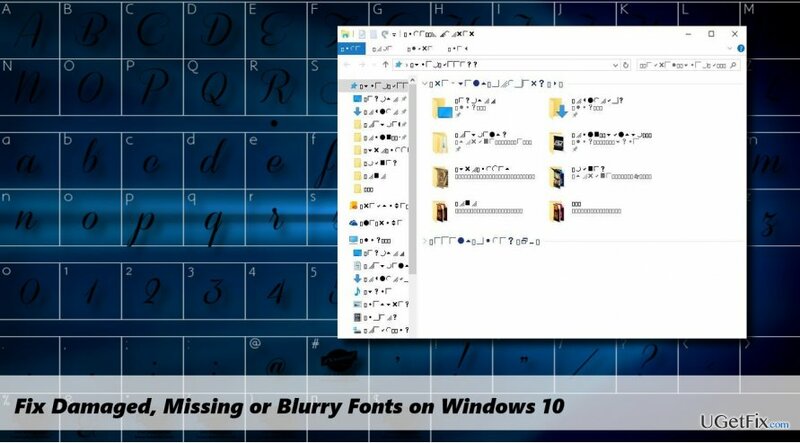 Home »	Fix » How to Fix Missing or Blurry Fonts on Windows 10? Issue: How to Fix Missing or Blurry Fonts on Windows 10? Yesterday the system finished installing Windows 10 Creators Update at Version 1703, OS Build 15063.138. After that, I found out that many fonts are gone. How can I fix that? Creators Update brought many bugs alongside. Luckily, most of them have fixes and don’t require the consultation of a professional IT expert. Our team has noticed that many Windows users who have upgraded to Windows 10 Creators Update from Anniversary Update or earlier Windows versions experienced problems related to Windows fonts. Both default and third-party fonts often disappear or get blank. Some people reported that a part of default fonts were removed in the Creators Update and some of the third-party fonts are no longer supported by Microsoft. However, such speculations haven’t been confirmed by Microsoft and there’s no official information proving that. If you want to check which fonts are installed on your system (this may help if you lost a particular type of fonts), open Control Panel, type fonts in the top-right search box, and select View installed fonts. Select the Windows Presentation Foundation Font Cache 3.0.0.0 service and click Stop. If it’s not running, then skip this step. Now press Windows key + R, type %WinDir%\\ServiceProfiles\\LocalService\\AppData, and press Enter. Click Continue to gain permission and double-click on Local sub-folder. In this folder, find the files starting with the ~FontCache- suffix and remove them. NOTE: do not remove any folders even if they are empty. After that, reboot your PC. Windows should automatically reinstall font cache. Right-click on the executable file that has blank or missing font. Select Properties and open Compatibility tab. Click OK to save the changes and reboot the system. If you did a clean install of Windows 10, navigate to the C:\\Windows\\Fonts. If you have upgraded from earlier Windows versions, navigate to the C:\\Windows.old\\Windows\\Fonts. 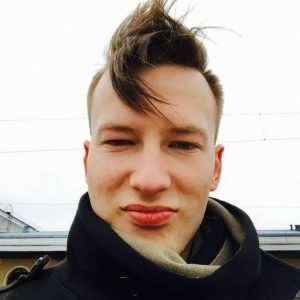 Locate the missing/corrupted font (usually Arial or Mingliu) and open the font file. On the top-right corner of the screen, click Install.